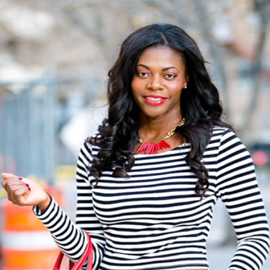 Hello Yvonne: STYLE: Cropped & High Waisted! 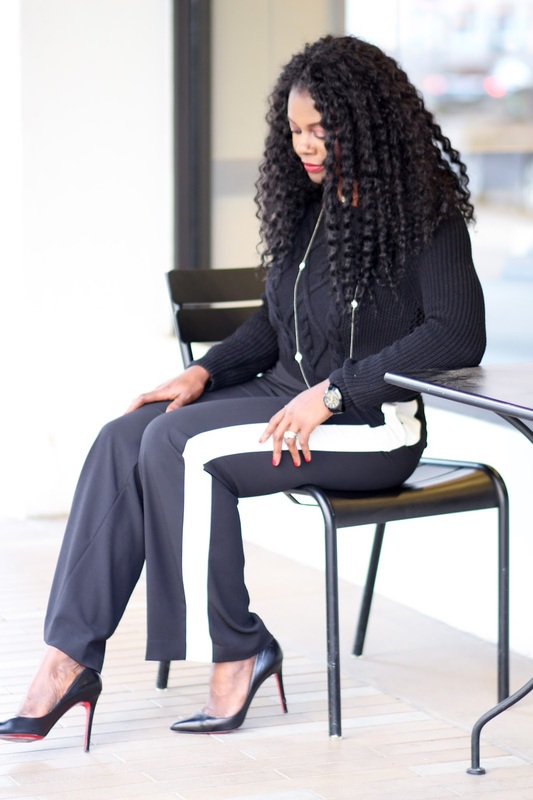 Sweater- old/ Express (Similar, Similar), Trousers- H&M (Similar, Similar), Heels- Christian Louboutin (Similar), Necklace- old (Similar). Hello, and hope your week is going ok. 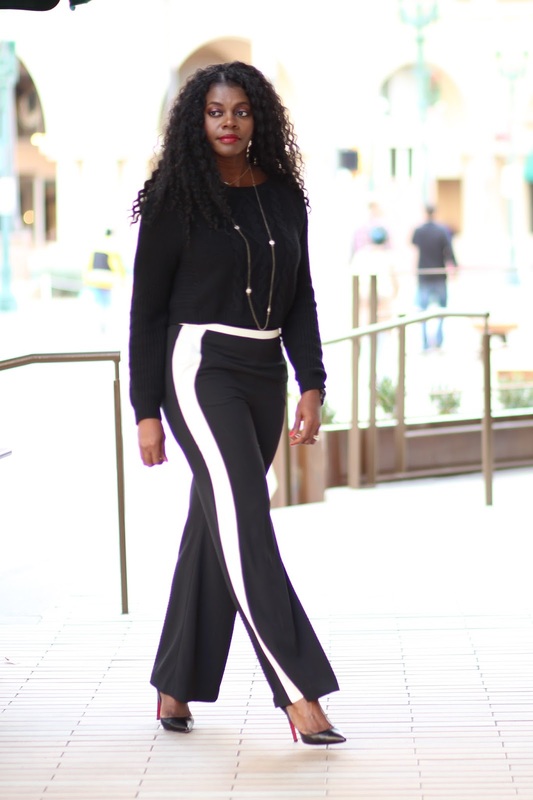 This look with a crop sweater can be intimidating to wear by some because of the possibility of an exposed stomach especially post-baby for me and although this look was shot pre-baby, I think it can be worn post baby with a much higher waist item like a skirt or trousers. 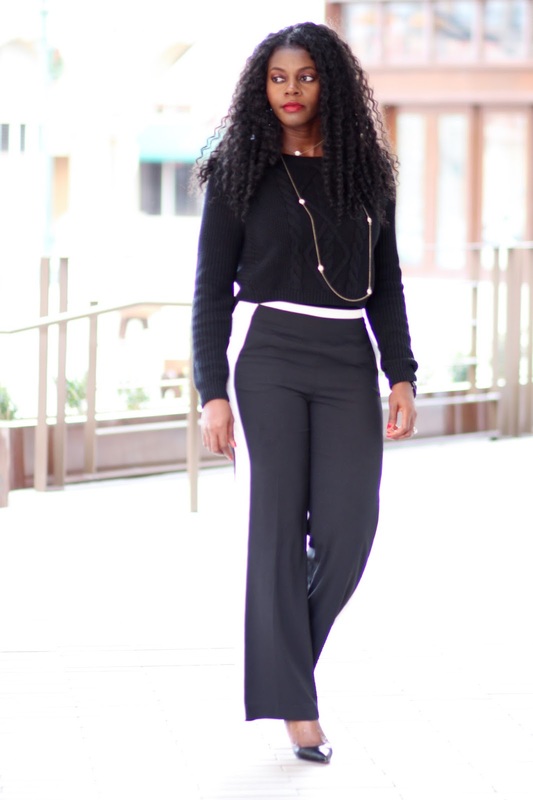 This look is an execution of paring high waist trousers with a crop top and keeping the look in all black. Thanks for stopping by! I really like your style.Its so chic and classy.You carry yourself so beautifully. I must say black suits you alot and the cherry on the top is your curly hairs.